Working with Lemons, a successful YouTube channel run by an LDS family, has done it again with their cover of “A Lovely Night” from the highly successful modern musical La La Land. 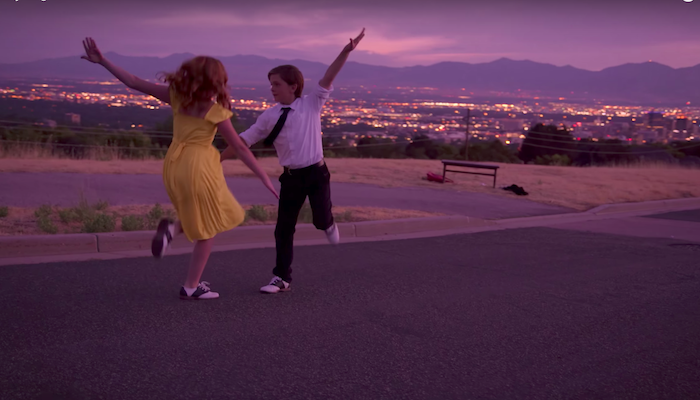 The singing and choreography are performed by 11-year-olds Mia Bagley and Cooper Johnson who are dressed up to resemble Sebastian (Ryan Gosling) and Mia (Emma Stone) from La La Land. For those who haven’t seen La La Land, the song “A Lovely Night” is a jazzy number about how Mia and Sebastian are refusing to admit that they have any romantic feelings for one another. Both of them seem to be playing hard to get. The premise of the song is that it’s a beautiful night with a breathtaking view, and it would be perfect for two people who were in love. But the two of them are adamant that they don’t have feelings for each other, so “what a waste of a lovely night.” But it’s pretty clear by their chemistry as they dance that they are attracted to each other. To see more videos by Working with Lemons, go to their YouTube channel. If you would like to see more videos like this, be sure to subscribe.